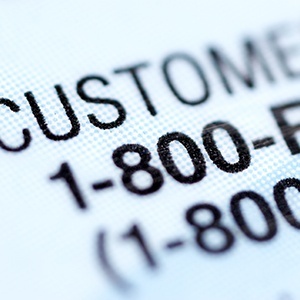 Is a 1-800 or Local Number Right for Your Business? One of the biggest advantages of switching from a traditional phone system to a hosted VoIP system, is that you can very affordably choose either (or both) a 1-800 or local number. And that is just the start! You can have incoming calls automatically routed to any phone, such as a specific office, smartphone/mobile phone, or a hosted call center. You can also assign specific phone numbers to marketing campaigns in order to track response rates, and identify where you are generating the most ROI. 1-800 or Local Number: Which Number is Right for You? And so with the above in mind, we can address the question asked in the title of this article: is a 1-800 or local number right for your business? The best and simplest way to answer this is to focus on your customers; and specifically, where they are located. If you are primarily or exclusively targeting a local customer base, then choosing a local number is probably sufficient. However, if your customer base is regional, state-wide or national, then a 1-800 number could (and most likely would) lead to more calls. Furthermore, a 1-800 number can give the impression that you have a national footprint, which could be beneficial to your brand and make you look larger and have more capacity than your competitors. What’s more, you can customize a toll-free number (which in addition to 800, can include 866, 888, 877 and 855) to be more memorable. Or course, there is an added cost involved, and the desired number may not be available. And some businesses in the B2B space simply do not want to customize their toll-free number, since they feel that it is more appropriate for businesses in the B2C space (e.g. cab companies, flower delivery, etc.). You may also want to explore using both a 1-800 and local number. For example, you can assign a 1-800 number for incoming calls to your customer support center, and assign a local number for outbound sales calls. In this way, your customers can connect to you nationwide without incurring any long distance costs, and outbound sales calls look like they originate locally -- which can make a positive impression on customers in the area and lead to more sales. ← Is a Hosted Call Center Right for Your Business?